Timber Cruise has been added as a suite in the Haglof Management Systems. What advantages will this bring you? – You access the best cruising software solution available on the market. Haglof Managements Systems is a modern, dynamic system that enables you to grow. Many new functions added already,and more planned for the future. 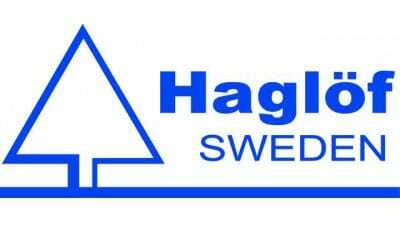 In Haglof Management Systems, TCruise will store all calculated data in the Haglof Management Systems SQL database. From this database you can run all the standard reports. This solution will replace LandMark Export Module. Instead of storing data in one separate Access database you can now store all calculated data in one, powerful SQL database. If you have previously used the LandMark Export Module to export data to Access database, you can now import this database to the Haglof Management Systems SQL database. All data is gathered in one powerful SQL database where you also run any of the reports. Do you need to design your own reports? If you want to and need your own reports, we can develop this for you. You simply import your report to the system and start using it! Install and run the system on different computers? With the new licensing solution, you are free to install Haglof Management Systems and the TCruise Suite on as many computer units you like. Simply use the USB memory and your personal license key! Have all tracts stored in one database. Sort and keep track of all the cruised tracts in one system. Run TCruise, re-calculate and update the data in the database as many times you need. Store and share data on one central SQL server or local on your personal computer. Desktop Inventory Software, Powerful and flexible, the best cruising software on the market. This full featured timber cruise software can process 100% tally, point, plot, double point, or stump cruises. In addition, the program provides growth projection, reproduction plot summaries, and site index evaluation for selected key species. Because the program utilizes profile functions to obtain volumes maximum flexibility is afforded to the user in specifying merchandising standards and in recording merchantable heights, even after the cruise is performed! The Microsoft Windows interface makes the creation of cruise templates a breeze. Once these templates are created they provide the initial set-up for differing cruising conditions, timber types, and size classes. Changes in the cruise template are only needed if timber prices or merchandising specifications change.